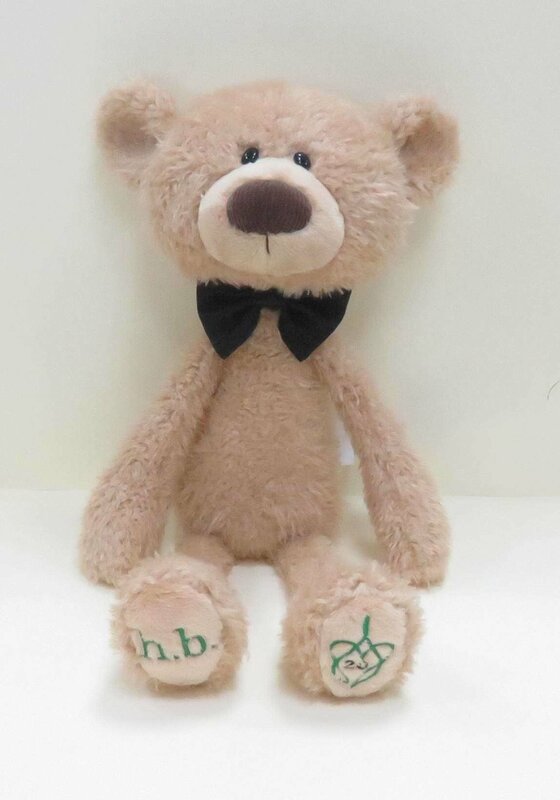 My name is h.b., just like Hunter Kelly’s nickname. 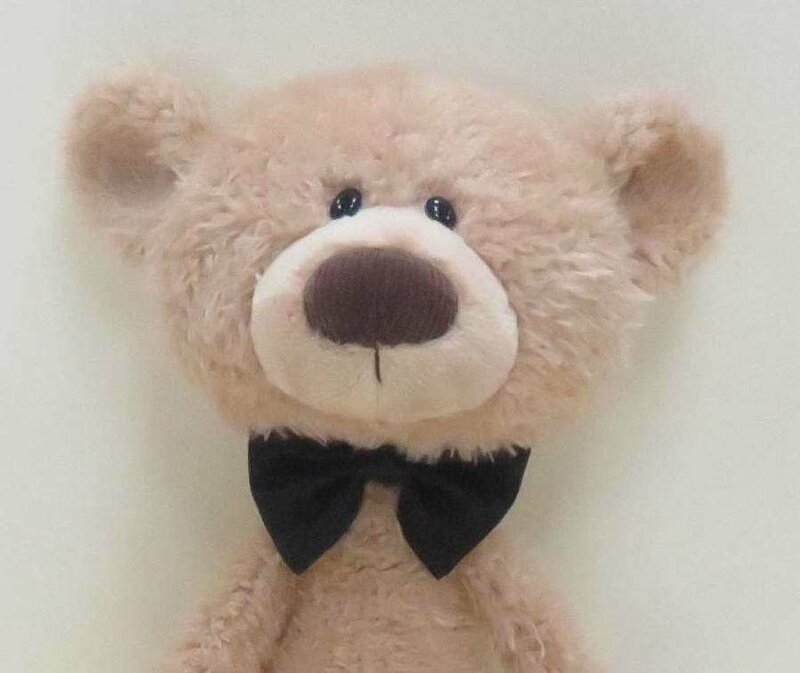 His family loved calling him “Hunter Boy” and “Hunter Buddy” and for short “h.b.” Hunter loved being called “h.b.”! 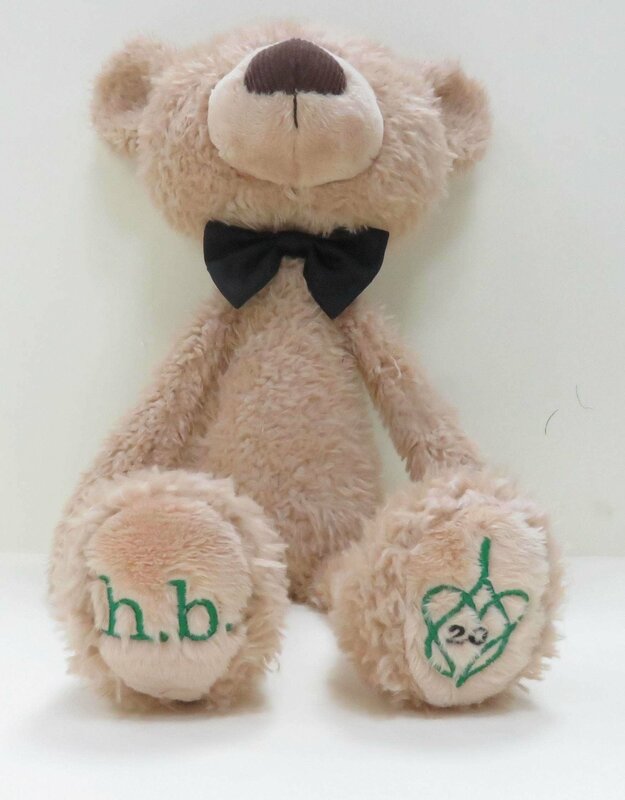 I am a personalized GUND bear created for the Hunter’s Hope Foundation's 20th Anniversary! Hunter’s Hope was created in 1997 by NFL Hall of Fame Member and former Buffalo Bills Quarterback Jim Kelly, and his wife, Jill, in honor of their son Hunter (2/14/97 - 8/5/05), who had Krabbe Leukodystrophy. We hope that when you take me home and hold me in your arms you'll remember God's promise to give you Hope and a Future. Please share this promise and Hunter’s story with all your friends and family. Together, we know we can find a cure for Krabbe and other Leukodystrophies, and help children all over the world have a Hope and a Future.